Are you a patriot or a Vampire? Yesterday I posted the teaser-trailer, but today 20th Century Fox brings us the international trailer for Abraham Lincoln: Vampire Hunter. This definitely gives us more of the same, but this time around, it actually looks pretty decent. However, I still maintain it looks a bit "off." Perhaps it has something to do with the cartoon-ish style battle/fight scenes. It for sure has a Tim Burton feel to it. Can't wait to see how it all turns out. The film stars the likes of Benjamin Walker as Abraham Lincoln, Dominic Cooper as Henry Sturgess and Mary Elizabeth Winstead as Lincoln's mother. Take a look! 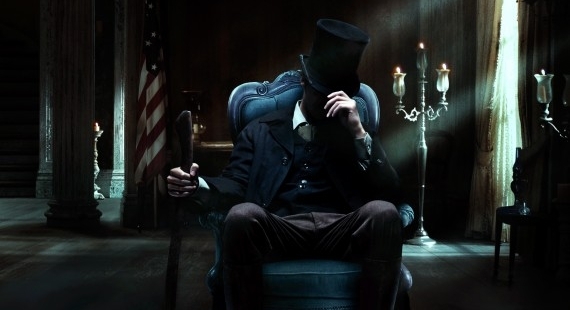 Abraham Lincoln: Vampire Hunter explores the secret life of our greatest President, and the untold story that shaped our nation. 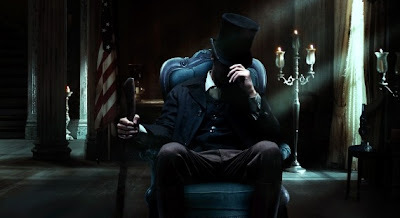 Visionary filmmakers Tim Burton (this time, producer) and Timur Bekmambetov (director of Wanted) bring a fresh new voice to the blood-thirsty lore of the vampire, imagining Lincoln as history’s greatest hunter of the undead. Look for this movie to hit theaters in 3D (no less) on June 22, 2012.